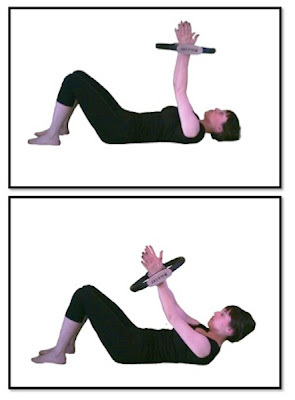 To do this exercise you will need a mat and a magic circle. Start by lying on your back with your knees bent and your feet planted in the ground. Thread your hands through the magic circle so that the pads are at your wrists. Inhale to prepare and then exhale as you press out on the magic circle. 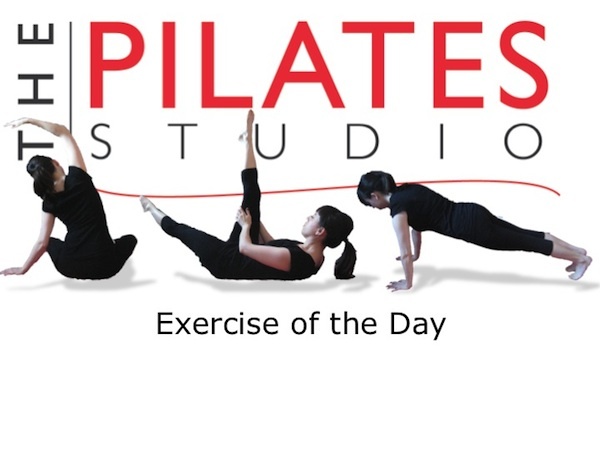 Continue exhaling as you press your ribcage into the ground and lift your head, neck, and shoulders. Inhale at the top and then exhale as you lower your head, neck and shoulders to the ground. Be sure that you keep sending your shoulder blades down your back. Imagine that you are plugging your arms into the shoulder sockets.